Hankook is a Korean based tyre manufacturer and has proved itself to be one of the major players in the business, but until recently they were almost unheard of in the UK. All this has changed though thanks to the amount of high quality cars that has started using them such as Toyota and Ford, both giants in the car industry. One of the major benefits that has seen the Hankook brand increase in popularity is there use of eco-friendly tyres that are now widely available on the market. Although the brand is still improving, they have a very bright future ahead of themselves and they are capable of being as good, if not better, than some of the more established brands. They are fast making waves in the industry and have created some innovative, high-quality and high-performance radial tyres for passenger cars, light trucks, SUVs, RVs, trucks, and buses as well as motorsports. What are some of the key features of a Hankook tyre? Tyres can sometimes be quite costly for your car, but it is a necessary expense nonetheless, because if you fail to maintain the condition of them then you will be putting yourself and other road users in danger. They are what keep your car moulded to the ground, so if they are faulty they can cause you to lose stability and even affect your fuel consumption. Buying tyres shouldn't have to be hard, which is why the team at Easywheels are here to provide you with the best knowledge, as well as giving you the best prices available! For more information about finding affordable tyres for your car, then why not get in touch with one of our highly qualified members of staff today on 0333 9000 201. 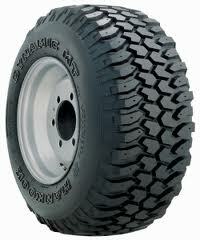 The Hankook Dynamic MT RT01 tyre is for the 4x4 enthusiast. This is the real deal of a tyre and will be able to plough through any obstacle that gets in its way. It grips on mud, sand and snow without an issue. Altought the tread is big and chunky the technology used to create the tyre enables it to dispellany unwanted mud and snow to maintian maximum grip on all terrain. The Tyre not only gives great pulling power but also has a great stability and handling performance. 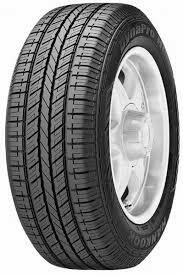 The Hankook DynaPro AS RH03 is an all season tyre that has added tread technology and features which gives the tyre extra grip and control on the road. The DynaPro AS RH03 delivers a smooth and comfortable ride while reducing the level of wear on the tread. The Hankook Dynapro ATM RF10 tyre has been developed for the all terrain vehicle market. This tyre comes with specially developed tread that gives the tyre extra grip on all terrains and weathers. 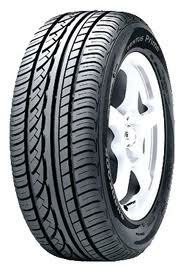 The tyre will perform and accelerate with great comfort and stability. Always delivering when the going gets tough. The Hankook Dynapro HP RA23 has been brought to the market to cater for the high end luxury SUV's and 4x4's. As you would expect it comes with all the features and refinement that you would get form any other high end Hankook tyre. The Hankook Dynapro HP RA33 has been brought to the market to cater for the high end luxury SUV's and 4x4's. As you would expect it comes with all the features and refinement that you would get form any other high end Hankook tyre. 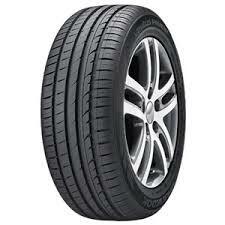 The Dynapro HP RA33 tyre will give the driver added control and comfort on the road and high and low speeds. 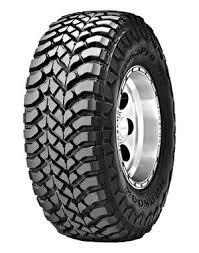 The Hankook Dynapro MT RT03 tyre is for the 4x4 enthusiast. This is the real deal of a tyre and will be able to plough through any obstacle that gets in its way. It grips on mud, sand and snow without an issue. Altought the tread is big and chunky the technology used to create the tyre enables it to dispellany unwanted mud and snow to maintian maximum grip on all terrain. The Tyre not only gives great pulling power but also has a great stability and handling performance. The Hankook Kinergy eco K425 will help you save money with its fuel saving technology. 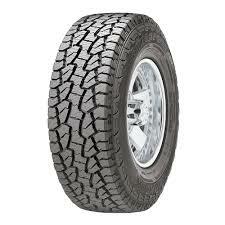 This along with its added durability means the life span of the tyre should be well above the industry average. A tyre that handles well and helps the environment. The Hankook Optimo H431R is a good performing all round tyre. The H431R is used as original equipment on a number of toyota vehicles. This tyre is also suitable for other vehicles. 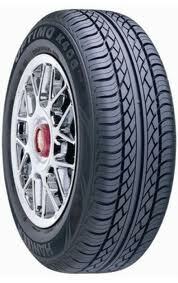 The Hankook Optimo K406 a high performance tyre that has excellent handling and control in wet and dry conditions. 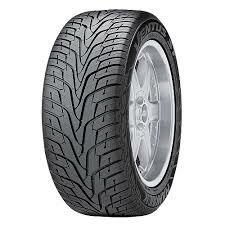 With increased tyre tread technology the grip of the tyre all conditions is excellent. The tread pattern dispells water quicker than other tread patterns, which reduces the possibility of aquaplaning in wet conditions. With increased control and comfort the Optimo K406 is a great tyre for all occasions. The Hankook Optimo K415 has been developed to create a tyre that performs well in both the wet and dry and handles very well at high and low speeds. Its fundamentaly a high performance tyre. With the unique tread design water is displaced quickly when driving reducing the posibility of aquaplaning in wet conditions. The Hankook Optimo K715 tyre makes up part of the "Gereneral Performance" range from Hankook. 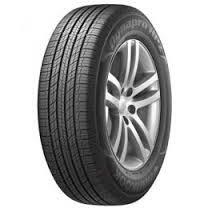 This tyre is wildly used on many car in the market and has good performance and handling. Not the most high profile tyre but definatley worthy of the Hankook name. The Tyre also performs well in the wet. 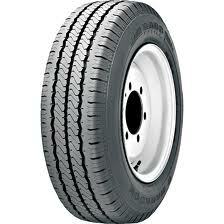 The Hankook RA28 is an excellent van and light truck tyre. The tyre has added support and strength in the sidewalls enabling the tyre to cope with heavier loads. A great performer that will give the driver more control and confidence on the road. 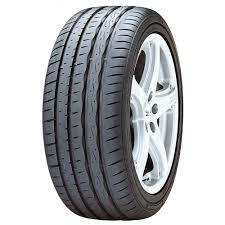 The Hankook Radial RA08 is an economy van tyre which has great wet road performance. The tyre will ease through wet conditions in a striaght line thanks to its three grooves that run through the tread design. These grooves help to dispell any extra water that is on the tyre to ensure maxiumum grip at all times. 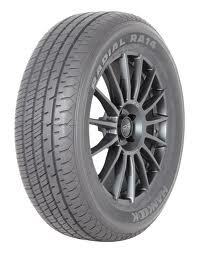 The Hankook Radial RA14 has been brought to the market specifically for the car like vans and MPV's. They are capable of carrying heavier loads and with the added suppot on the sidewalls give better handling when cornering. 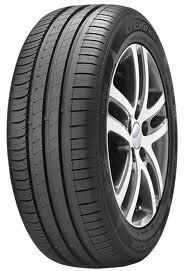 The Hankook S300 is part of the temperary space saver spare tyre range from Hankook. A good tyre that will get you out of a tricky situation. Rembember that these tyres are not a permanent solution and that you should never travel above 50mph on them or any further than 50 miles. 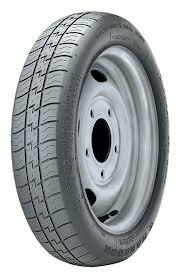 The Hankook S400 is part of the temperary space saver spare tyre range from Hankook. A good tyre that will get you out of a tricky situation. Rembember that these tyres are not a permanent solution and that you should never travel above 50mph on them or any further than 50 miles. 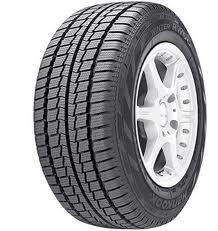 The Hankook Vantra LT RA18 tyre comes from Hankook as a summer tyre that is specifically for the Van market. 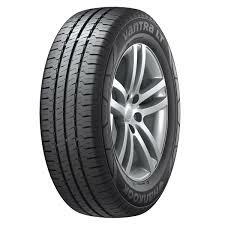 The Vantra comes with expectional grip in the wet and is known as a very durable tyre. 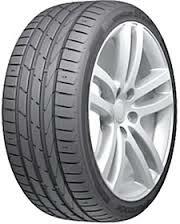 The Hankook Ventus Prime 2 K115 provides excellent grip through the latest technology used on the tyre tread pattern. The "GripTech" enables the tyre to grip the road in wet and dry conditions while traveling at high speed. This grip also allows the tyre to have a reduced breaking distance which adds to the saftey of the tyre. This is a great tyre that will keep you safe on the road, wet or dry. 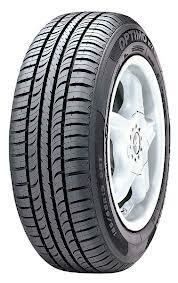 The Hankook Ventus Prime K105 is a good performing and handling tyre. The tread pattern helps to retain grip in wet conditions and increases the control the driver has over the road. A great tyre that will perform well in all conditions dry or wet. 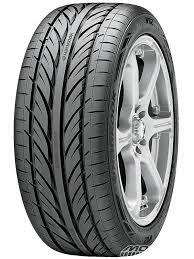 The Hankook Ventus S1 evo K107 has been designed and brought to the market as a great all round performer. With exceptional handling and working very well in the wet this tyre will have you travelling in comfort due to its high level of performance and features. This tyre is also available as a run flat. The Hankook Ventus S1 evo K107A has been designed and brought to the market as a great all round performer. With exceptional handling and working very well in the wet this tyre will have you travelling in comfort due to its high level of performance and features. This tyre is also available as a run flat. 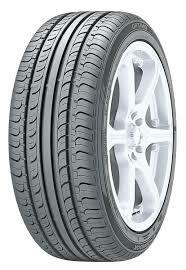 The Hankook Ventus ST RH06 is part of the 4x4 tyre range. It has been specifically developed for the luxury high performance vehicles in the sector. With excellent handling in all weather conditions this tyre will keep on performing in the wet, snow or ice. Not only does the tyre have great handling it also has long lasting tread and gives for a comfortable ride. The Hankook Ventus V12 evo K110 is a top end tyre for top end performance. With exceptional levels of grip, control and steering this tyre will carry on performing again and again. Not only is the tyre great in the dry it has a good wet performance too. 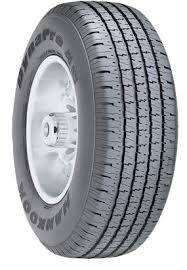 The Hankook Winter RW06 is as the name suggest a winter tyre for vans and light trucks only. The tyre has a wide tread pattern that helps the tyre gain extra grip in the snow and ice. The tread also increases the performance of the tyre in wet conditions. 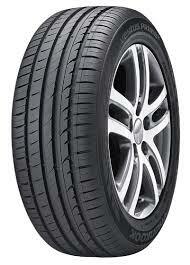 This tyre will perform very well as the winter months creep in.